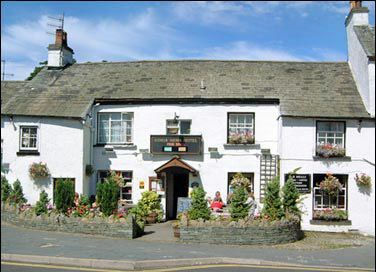 Welcome to the Kings Arms, Hawkshead, which lies at the heart of the English Lakes in the beautiful vale of Esthwaite. The Inn, on Hawkshead's Main Square, has greeted visitors since Elizabethan times to a place where the pace of life remains quiet and unhurried. We offer hotel accommodation and self catering accommodation in the Lake District. Join us for a relaxing stay amidst the green hills and dales of Lakeland, and we will be delighted to offer you good food, homely comfort and warm hospitality in historic surroundings. Good dogs and children are welcome. Free Wi-Fi for guests. Oak beams, an open fire and friendly faces greet visitors as they walk through the door of this 500-year-old Inn, which has eight comfortable bedrooms. The peaceful Square outside is access only for cars, but parking is easy with our hotel permit, in the pay and display car park nearby. Our Bar is a popular meeting place for locals and visitors alike, with plenty to talk about over a pint of real ale. On sunny days, you can sit outside in the Beer Garden just watching the world go by; we are in the Good Beer Guide and our selection of malt whiskies is unrivalled in the area! We also have self-catering accommodation available nearby. Dining at the Kings Arms is an informal occasion, with ample choice to suit all tastes. Imaginative traditional and continental cuisine is served in the Bar area and Dining Room, with daily 'special' dishes to provide added interest, accompanied by a wide choice of wines at reasonable prices. Light snacks and bar meals are served from 12-2.30 pm and 6-9.30 pm and residents' packed lunches can also be provided. 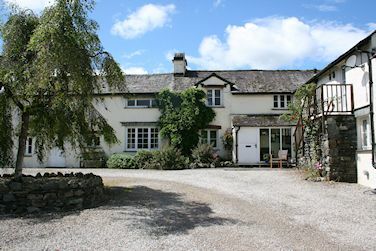 Waterside House is a delightful bed and breakfast in a fantastic location on the edge of Esthwaite Water and the outskirts of the historic village of Hawkshead. A perfect place to stay for a peaceful break in the English Lake District. Hawkshead village offers great shops, cafe’s, post office and four terrific pubs, just a 10 minute walk away. We have three lovely rooms, all with bath and shower. Freeview T.V. with DVD player in each room. An extensive selection of DVD movies are available free of charge. All rooms with own external access. Child friendly with travel cot, toddler bed, potty, toys, books & children’s DVD’s available at no extra charge. One minute walk to the edge of Esthwaite Water where, at the right time of year, you can observe the resident Osprey diving for fish. With tables and chairs for those sunny afternoons where relaxation is absolutely required after a long hard day exploring. Set way off the road, Waterside is definitely the place to come for peace and tranquillity away from it all. Listen to the gentle bird song and wake to the sound of the cuckoo. Bring home a picnic or pre-order one from your host Vanessa. There is also a BBQ available for those barmy summer evenings we're all so used to. And there’s plenty of space for the kids to burn off some energy too! After a hearty breakfast the dining room can be used for relaxing, making use of the free Wi-Fi and a cosy corner for a light read. There is a selection of books for your amusement and puzzles and games for the kids. Roaring log fires in the winter and a cool retreat in the height of summer.